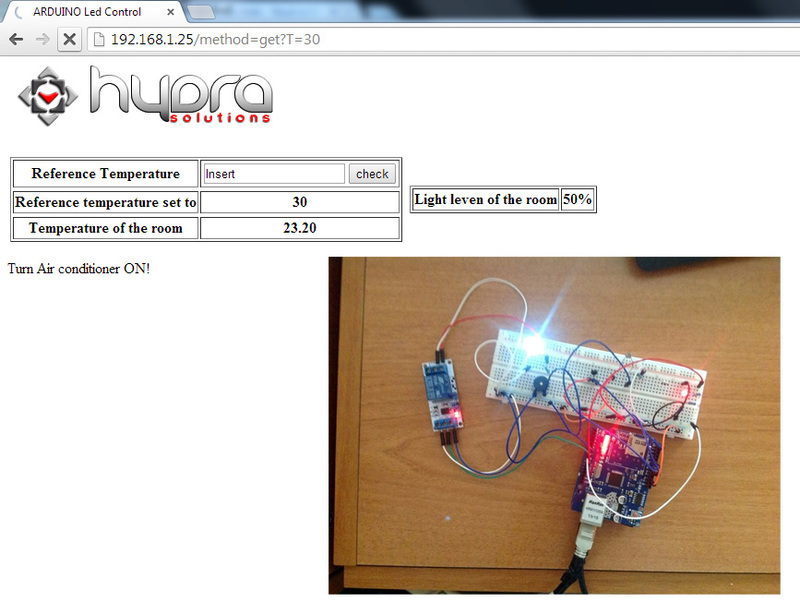 For this tutorial consists on controlling the light using a buzzer and controlling the temperature. 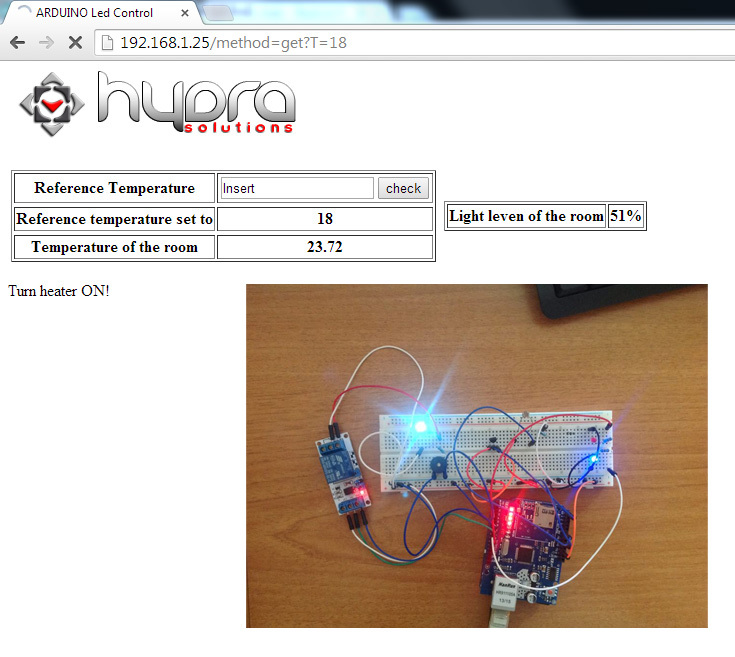 The web page has one table for the temperature with a text box and the actual temperature and one simple table for the light. Depending on the values we put comparing with the temperature, above the table appears text saying when to turn on/off the air conditioner. 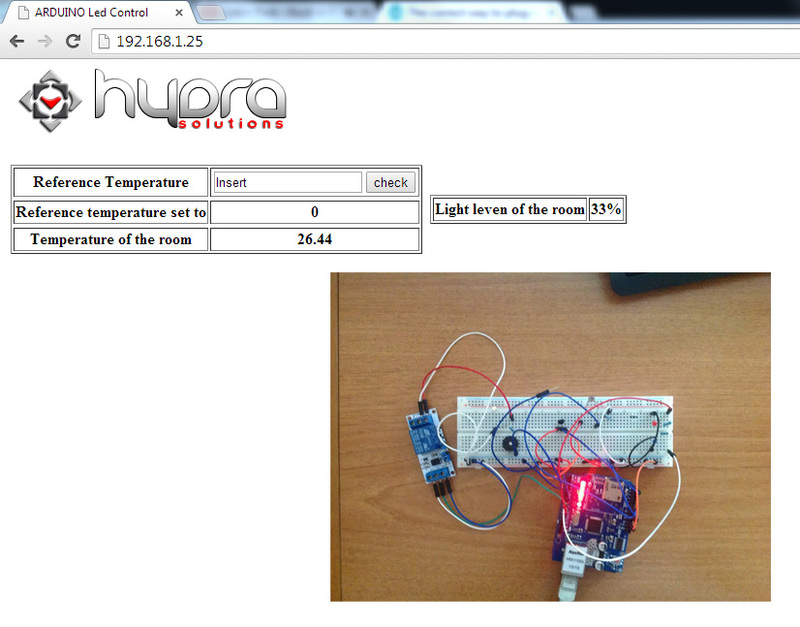 For the light, depending on the light sensor gets, if the light level is 10% higher/lower than the internal reference temperature the buzzer makes sound (in the video it is set to 60%). 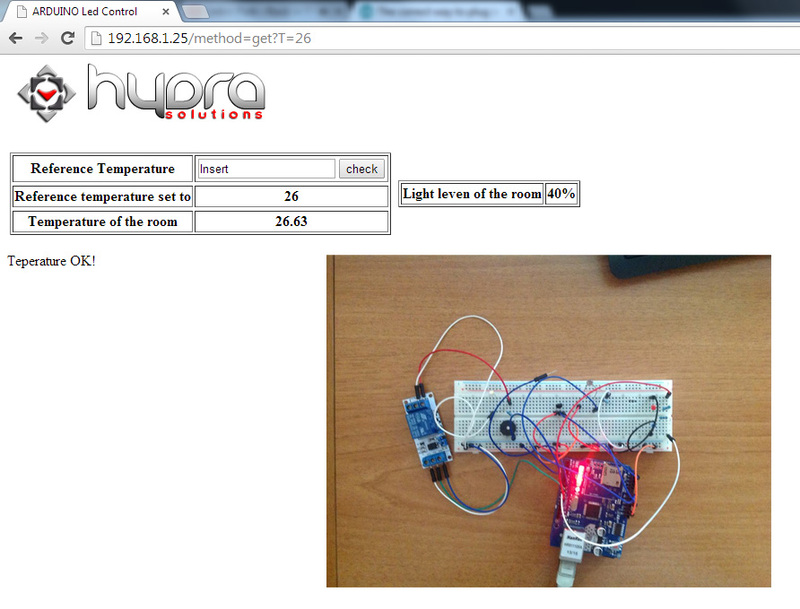 int y1=0, light=0, dif=0; // references posted by the user!